Crush ahead to a healthy, hygiene & environment - friendly World! Food waste often results in unclean kitchen. Waste collection and disposal is a burden. Food waste chokes pipes ending in overflowing waste water. Food waste blocks sink and pipes inviting rodents. Plumbing solutions are unavoidable - waste of time, money and resources. Unclean kitchen causes gastro-intestinal infections. 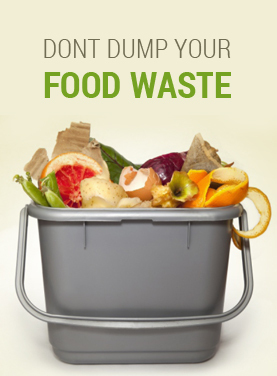 Food waste results in landfills that cause pollution and poisonous gas. Manual handling and bulky wastes results in strenuous work and stressful situation - enjoy complete freedom from this undesirable scenario. A clean kitchen is always a better kitchen and productive too - as cleaning work is considerably reduced. A neat and tidy work environment - thanks to ergonomic improvements. No bad odors, pests and bacteria formation, instead enjoy pleasant working conditions and better hygiene. It is a tedious and time-consuming job to sort the rood wastes - automation helps save time and money. Savings through considerable reduction in working hours and operating expenses. Much lower cost per meal served and faster and better return-on-investment. Fewer waste containers and transport to storage locations saving time and energy. No diseases and healthcare expenses resulting in a healthy and happy life. Environment - Friendly Sharp Crusher for a better and happy planet ! Recycle through biogas production and gain environment-friendly corporate image. Fewer transports of garbage ensuring less vehicle exhausts, road wear and accidents. Possibility of recycling through anaerobic digestion in the form of renewable energy (biogas). Better utilization of social investments in sewage systems and sewage treatment plants. Avoid pre-processing (grinding) cost for food waste at treatment plants / biogas facillties. Less garbage is deposited and better utilization.